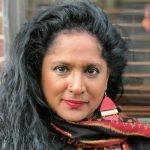 SHARMINI PERIES: Welcome back to my conversation with Omar Shakir. He’s the director of Palestine-Israel for Human Rights Watch in Israel. And this is segment two. So if you haven’t watched segment one, please do. 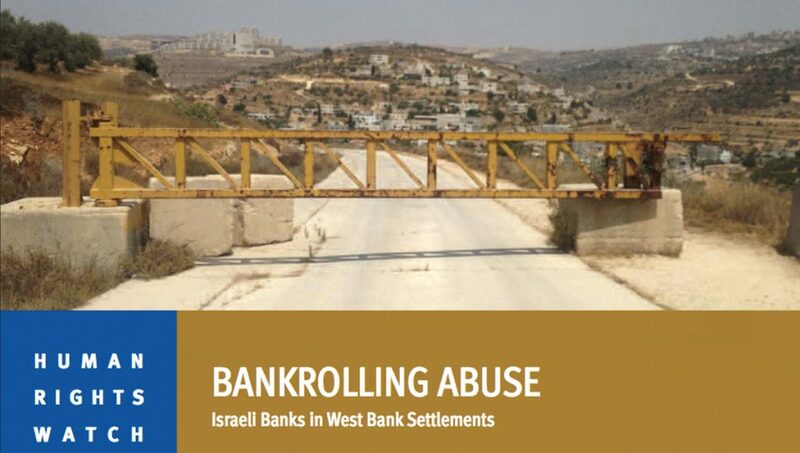 Now, this segment is about the fact that last week Human Rights Watch published a new report with the title “Bankrolling Abuse: Israeli Banks in the West Bank Settlements.” It is on the role of the banks in expanding illegal colonization in the occupied Palestinian territories. Good to have you back, Omar. OMAR SHAKIR: Thank you for having me again. SHARMINI PERIES: All right, Omar, in the report “Bankrolling Abuse,” which was just published, it revealed that seven largest banks in Israel together, account for more than 90 percent of Israeli banking sector, have branches in the illegal Israeli colonies in the West Bank. And tell us more about that, and why you thought this was important to investigate and do a report on, and what these banks are mainly doing in this, in these settlements. OMAR SHAKIR: Sure. So our report documented the role of Israel’s seven largest banks, who are directly and substantially involved in activities and settlements. Now, settlements are war crimes under international law, for two reasons. One, the transfer of one civilian population to territory acquired by war is a war crime. And secondly, in many cases, inevitably the development of settlements leads to the forced displacement of Palestinians, and is accompanied by a two-tiered discriminatory system in the West Bank that treats Palestinians separately and unequally. Inevitably, any business that operates in settlements benefits from and contributes to gross violations of human rights and international law. And the case of banks, they’re involved in four sets of activities in the West Bank that raise significant concern, and put it in violation of its international legal obligations. First of all, as you mentioned, they operate bank branches in settlements. But that actually might be the least of their violations. More substantially, actually, they provide loans to settlement regional councils. So they’re directly providing loans to the governing authority that oversees settlements, which again is used to further establish settlements. In addition, they actually provide mortgages to homeowners, to settlers, to purchase homes on Palestinian land. So again, this is Israelis purchasing homes on land confiscated, taken from Palestinians, which Palestinians cannot access. And maybe most significantly, they’re actually directly partnering in construction projects. So you have banks that actually will take ownership of territory after it’s taken by the Israeli authorities, and will play a direct role in the process of providing finance, mortgage, et cetera, and taking ownership of the land before it’s eventually sold to an Israeli settler. So that makes it a really substantial and direct connection, and makes it a contributor to war crimes, and other serious violations of international law and human rights. SHARMINI PERIES: What do you say to those banks? How can you avoid complicity with the war crimes in these situations? OMAR SHAKIR: You simply can’t. There is no way to do business in or with settlements to avoid benefiting from and contributing to serious violations of human rights. Human Rights Watch for several years now has made the position that any business activity in a settlement invariably makes you a part to these very significant abuses. So there’s only one solution, which is to cease operating in settlements, full stop. And that is, there, that is the recommendation that we’ve made to Israeli banks. They need to cease all business activity in or with settlements. SHARMINI PERIES: And how is this report being received, so far? Do the banks have copies? OMAR SHAKIR: Of course. I mean, as part of our methodology we always send our research and our findings to those directly involved in the abuse, whether they be companies or corporations. We wrote to each of the seven major banks. We sent them a list of questions. We let them know our tentative findings at the time before we published our report, many weeks in advance. And we got no substantive response from any of the banks. They simply did not provide answers to the questions that we had. I think the reality is you have an entire industry here that is very deeply involved in the entire enterprise of settlement, which of course is the major contributor to serious violations of human rights in the West Bank. SHARMINI PERIES: And if they’re not paying any attention to the findings of this report or the recommendations you are making, Omar, how can they be held accountable? OMAR SHAKIR: Sure. So, look, I mean, in addition, of course, to directing our findings to banks, we have other advocacy targets. We’ve issued recommendations here to the U.N. Office of the High Commissioner for Human Rights, which is in the process of compiling a database of all businesses that operate in settlements, and we have advised them to include Israeli banks in that listing. We’ve also made, of course, recommendations to the Israeli government, the Bank of Israel, with regards to settlements and the role of banks. And I think, you know, it’s important that banks realize that they have many institutional investors, and many of these institutional investors, many of whom come from Europe, have very strict policies when it comes to investing in companies that are engaged in human rights abuse, including in settlements. So it’s important, you know, for the banks to realize that, and I think it’s also important for those institutional investors to take note of the findings in our report. SHARMINI PERIES: Omar, I thank you so much for the insights about the report, and I wish you all the best in terms of the advocacy you still need to do with that report. And in the meantime, do we have any indication as to how the court might react to your case of being deported, whether they they will uphold the deportation order? OMAR SHAKIR: Time will tell. The government is due to respond to our substantive lawsuit on June 21. We’ll be in the District Court in Jerusalem on June 27, and at that point we’ll await a decision from the court. I think it’s hard to read how the court may rule on this decision. It’s certainly only so far engaged on the request for an interim injunction and temporary order. I think in either case it’s quite likely that the party that does not prevail on the merits will ultimately go to the Supreme Court. So we very well may be in for a long legal battle here, but we very much hope that the court will understand the significant threat that this decision and this law poses to thousands of foreigners who live in Israel. In essence it is imposing a political litmus test on entry to a country that proclaims itself to be a democracy. In blocking access to Human Rights Watch staff, Israel joins a group of countries like North Korea, Cuba, and Sudan that have denied access to Human Rights Watch staff. So we hope that the court here will understand the importance of this issue, in many cases a test for a very draconian law, and even going beyond it. And we hope we’ll be able to continue, as we have for the last three decades, to operate from Israel in the occupied Palestinian territory, and continue doing our work on the ground. SHARMINI PERIES: All right, Omar, I thank you for joining us, and all the best with the case.